By now it was late morning and we drove south of the Arkansas River to take a look at what shots are available from around the steel works. From the bluffs overlooking town we saw a train on the move, the one the three BNSF units had been making up. 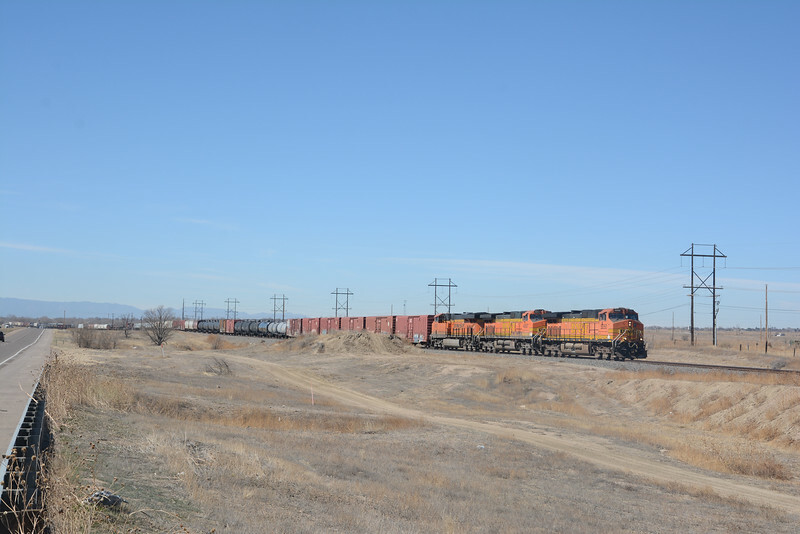 A quick dash east along Business US 50, left along 233 across the Arkansas River and we were on Highway 50 alongside the BNSF La Junta line. 5050 and compatriots soon appeared, but slowly as they were due to meet a westbound local .